24 Nov	This entry was published on November 24, 2014 at 6:00 am and is filed under Garden, Quilt. Bookmark the permalink. Follow any comments here with the RSS feed for this post. So colorful and so warm. Using a YO-YO in block is a cute idea. I will definitely use them instead of the buttons that I used last time. 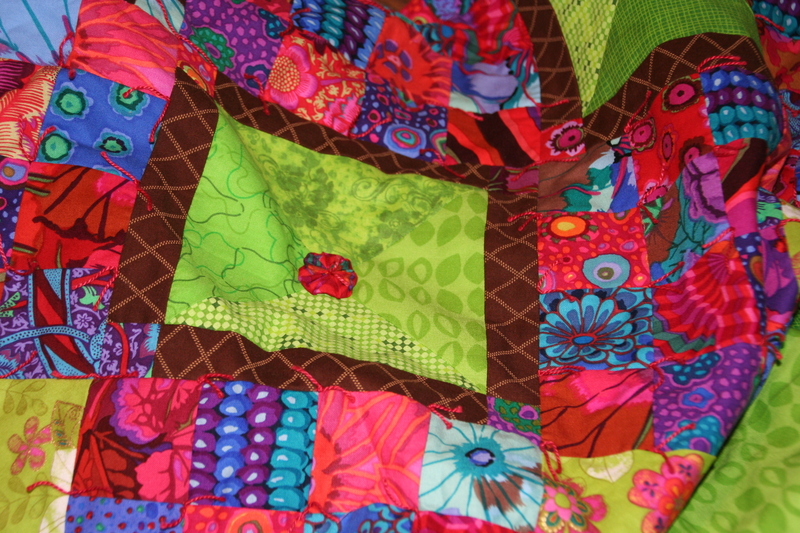 Bright, colorful & happy quilt. Thanks! It’s a baby quilt so did not want to use buttons and it picks up on the fabric I’ve used elsewhere. I did not only tie it firmly in the middle, but stitched down the edges of the yo yo, so it will remain flat after being washed.